The only counterpart to the use of these legal notices, is the total commitment to leave the credit link subdelirium on this page of legal notices. 2. General conditions of use of the site and the proposed services. The use of the site http://www.hotel-mas-arcades.fr/ implies full acceptance of the terms and conditions described below. These conditions of use may be modified or supplemented at any time, users of the site http: / /www.hotel-mas-arcades.fr/ are therefore invited to consult them regularly. This site is normally accessible to users at any time. However, an interruption due to technical maintenance may be decided by SAS ARRELIA, who will then endeavor to communicate to users the dates and times of the intervention. The http://www.hotel-mas-arcades.fr/ site is updated regularly by Christopher GRICE. In the same way, the legal mentions can be modified at any time: they impose nevertheless on the user who is invited to refer to it as often as possible in order to take note of it. The site http://www.hotel-mas-arcades.fr/ aims to provide information on all of the company’s activities. SAS ARRELIA strives to provide on the http://www.hotel-mas-arcades.fr/ information as accurate as possible. However, he can not be held responsible for omissions, inaccuracies and deficiencies in the update, whether by him or the third party partners who provide this information. All information on the website http://www.hotel-mas-arcades.fr/</a > are given as an indication, and are subject to change. Moreover, the information appearing on the http://www.hotel-mas-arcades.fr/ < / a> are not exhaustive. They are given subject to modifications having been made since they went on line. 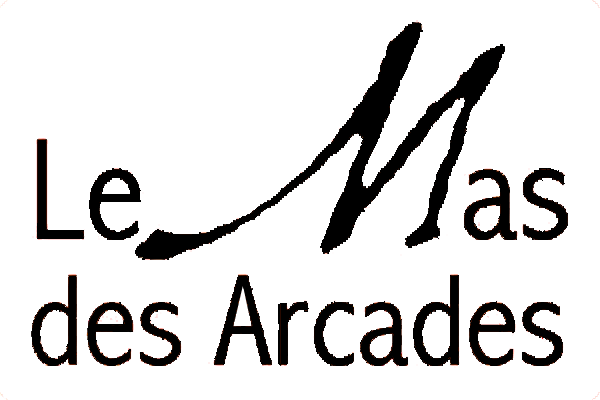 SAS ARRELIA owns the intellectual property rights or has the rights to use all the elements available on the site, including text, images, graphics, logos, icons, sounds, software. Any reproduction, representation, modification, publication, adaptation of all or part of the elements of the site, whatever the means or process used, is prohibited without the prior written permission of: SAS ARRELIA. SAS ARRELIA can not also be held liable for indirect damages (such as for example a loss of market or loss of opportunity) resulting from the use of the site http://www.hotel-mas-arcades.fr/ . Interactive spaces (possibility to ask questions in the contact area) are available to users. SAS ARRELIA reserves the right to delete, without prior notice, any content posted in this space that would violate the law applicable in France, especially the provisions relating to data protection. Where applicable, SAS ARRELIA also reserves the right to question the user’s civil and / or criminal liability, particularly in the event of a racist, abusive, defamatory or pornographic message, regardless of the medium used ( text, photography …). On the occasion of using the http://www.hotel-mas-arcades.fr/ , can be collected: the URL of the links through which the user accessed the site http://www.hotel-mas-arcades.fr/ , the access provider of the user, the Internet Protocol (IP) address of the user. In any case SAS ARRELIA only collects personal information about the user for the need of certain services offered by the site http://www.hotel-mas-arcades.fr/ . The user provides this information with full knowledge of the facts, in particular when he proceeds to input them himself. It is then specified to the user of the site http://www.hotel-mas-arcades.fr/ the obligation or not to provide this information. No personal information of the user of the site http://www.hotel-mas-arcades.fr/ < / a> is published without the knowledge of the user, exchanged, transferred, assigned or sold on any support to others. Only the assumption of redemption SAS ARRELIA and its rights would allow the transmission of such information to the prospective purchaser who would in turn be given the same obligation to store and modify data with respect to the user of the site http://www.hotel-mas-arcades.fr/ . The http://www.hotel-mas-arcades.fr/ site contains a number of hypertext links to other sites, set up with the authorization of SAS ARRELIA. However, SAS ARRELIA does not have the possibility to check the contents of the sites thus visited, and will therefore assume no liability for this fact. The navigation on the site http://www.hotel-mas-arcades.fr/ is may cause the installation of cookie (s) on the user’s computer. A cookie is a small file, which does not allow the identification of the user, but which records information relating to the navigation of a computer on a site. The data thus obtained are intended to facilitate subsequent navigation on the site, and are also intended to allow various measures of attendance. In Internet Explorer: tool tab (pictogram in the form of a cog in the upper right corner) / internet options. Click Privacy and choose Block all cookies. Validate on Ok. In Firefox: at the top of the browser window, click the Firefox button, then go to the Options tab. Click on the Privacy tab. Set the retention rules to: use custom settings for history. Finally uncheck it to disable cookies. Under Safari: Click on the top right of the browser on the menu pictogram (symbolized by a cog). Select Settings. Click Show Advanced Settings. In the “Privacy” section, click Content Settings. In the “Cookies” section, you can block cookies. Under Chrome: Click at the top right of the browser on the menu icon (symbolized by three horizontal lines). Select Settings. Click Show Advanced Settings. In the “Privacy” section, click Preferences. In the “Privacy” tab, you can block cookies. Any dispute in connection with the use of the site http://www.hotel-mas-arcades.fr/ is subject to French law. It is made exclusive jurisdiction to the competent courts of Paris. Law n ° 78-17 of January 6, 1978, notably modified by the law n ° 2004-801 of August 6, 2004 relating to data processing, files and freedoms. Personal information: “information that allows, in any form whatsoever, directly or indirectly, the identification of natural persons to which they apply” (Article 4 of Law No. 78-17 of 6 January 1978).